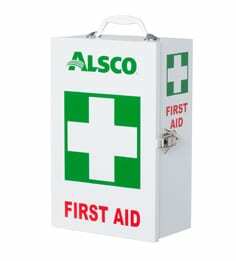 Alsco’s managed first aid kit rental service saves your business time and money, helps you comply with complex WH&S laws, and keeps your workplace safe and secure. 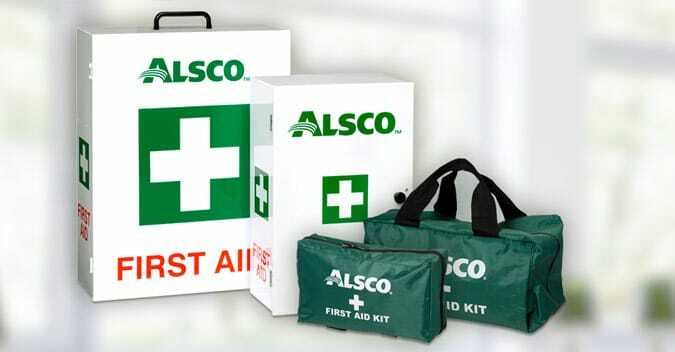 From motorist kits to wall-mounted cabinets, Alsco have the kit for your company’s unique needs. 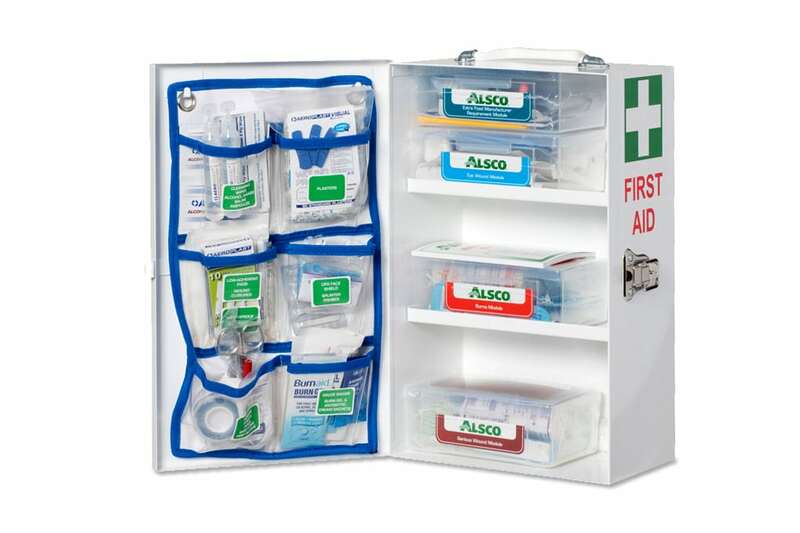 Once your first aid kits are installed – put your worries about WH&S legislation, maintenance, and staff safety out of your head – completely. 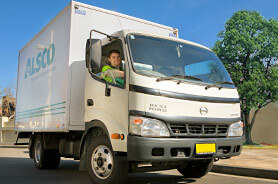 Alsco’s managed rental service takes care of the small details so you don’t have to. Learn why renting vs buying is better for your business. 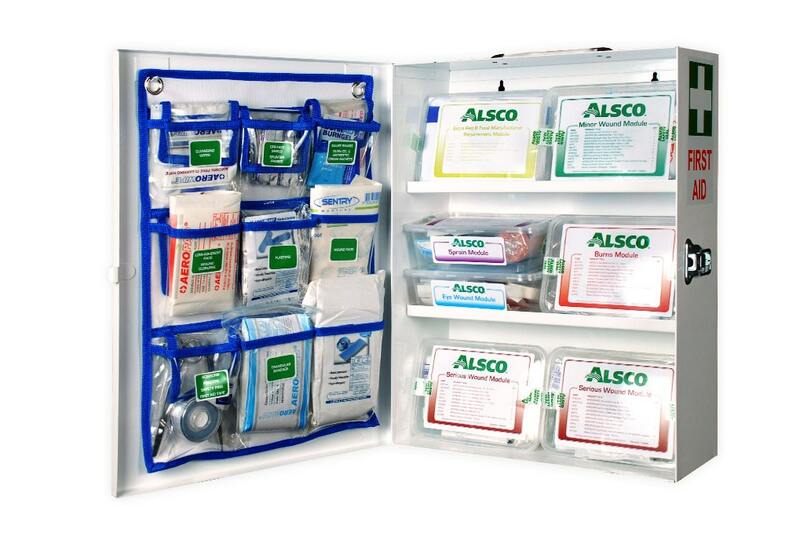 Alsco’s ‘regular cabinet’ first aid kit will keep your business safe, secure and prepared for emergencies – no matter your industry. 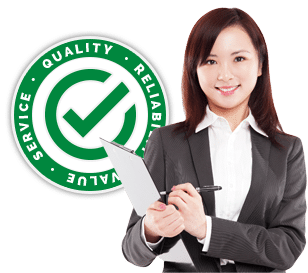 With Alsco’s single fee managed rental service, you can put your worries about safety, legal compliance and restocking to the back of your mind. Our regular, quarterly maintenance will keep you covered. 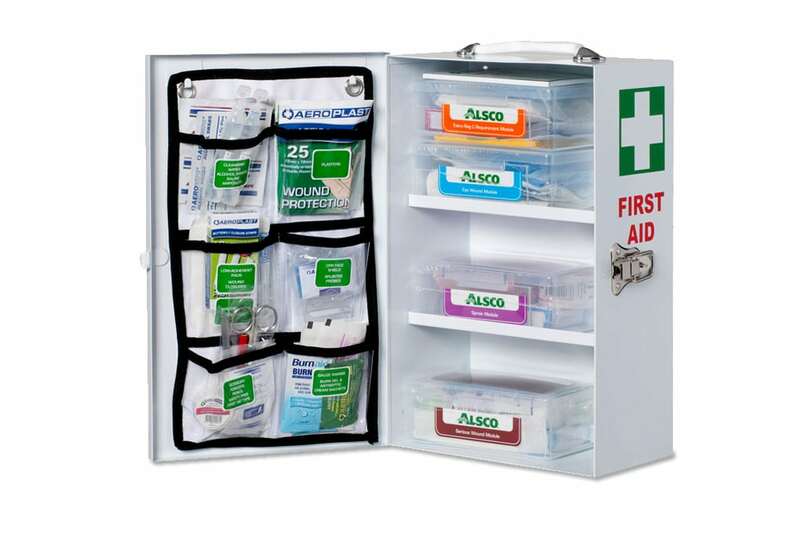 Specifically designed for the food industry, this first aid kit is ideal for bars, restaurants, hotels and cafes. With Alsco’s single fee managed rental service, you can also put your worries about safety, legal compliance and restocking to the back of your mind. Our regular, quarterly maintenance will keep you covered. 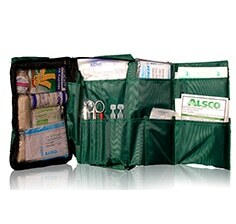 Suitable for smaller workplaces, this convenient first aid kit is small and compact, yet still contains the essentials. 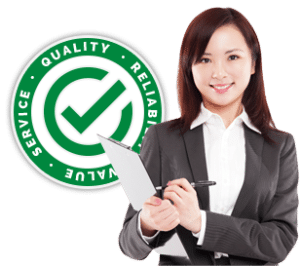 With Alsco’s single fee managed rental service, you can put your worries about safety, legal compliance and restocking to the back of your mind. Our regular, quarterly maintenance will keep you covered. 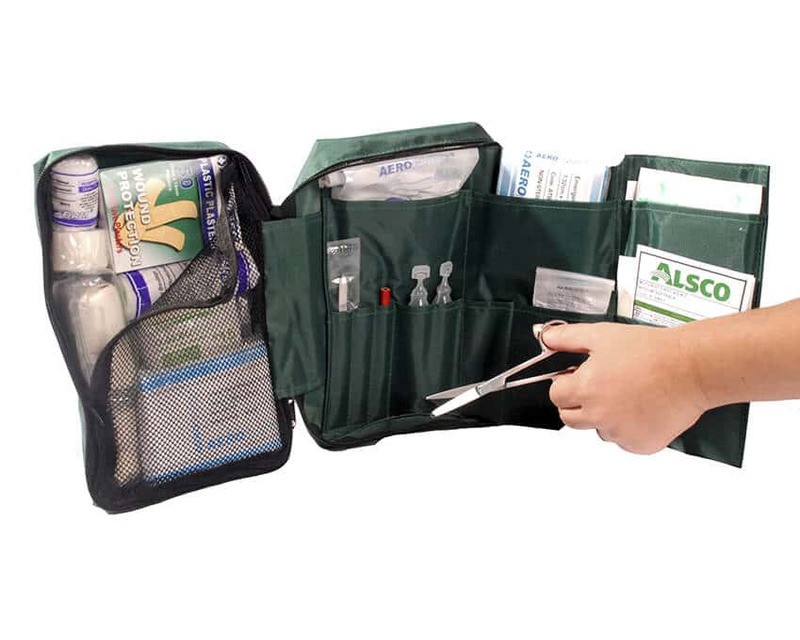 Specifically designed for cafes, restaurants, catering, food stalls, this compact food industry first aid kit is small, compact and convenient. 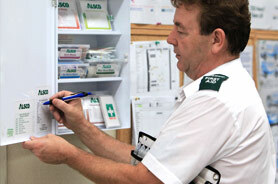 Easily wall-mounted, your staff will have easy access to first aid supplies as they require. With Alsco’s single fee managed rental service, you can put your worries about safety, legal compliance and restocking to the back of your mind. Our regular, quarterly maintenance will keep you covered. 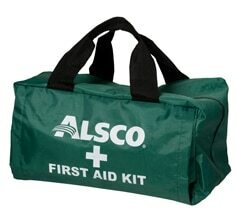 This portable kit is easy to store in a glove compartment or boot of your employees’ cars, vans or trucks. 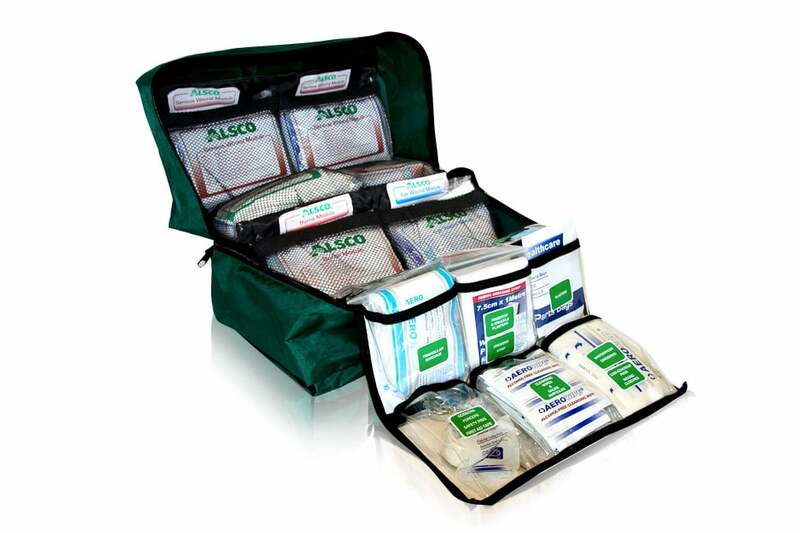 Ensure that your drivers have first aid supplies – no matter where they are. This portable kit is perfect when you’re on the move. 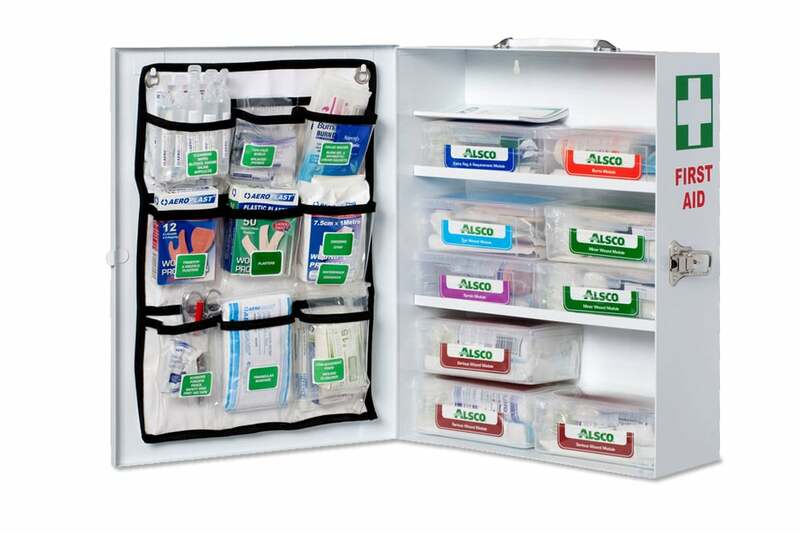 Compact and convenient, the motorist kit is easy to store in a glove compartment or boot of your employees’ cars, vans or trucks. 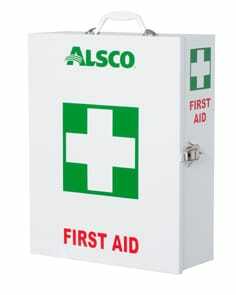 Each of your employees deserves fast, reliable access to first aid. Ensure your staff are safe and secure – no matter where they are.